Brand spaces to make an impact. Sometimes great design ideas come your way, but that doesn’t mean they need to be permanent! Here at LSI Graphics, we understand and actually embrace frequent change. That’s why we make sure all of our wall covering packages are available in an array of shapes, sizes, colors, and adhesive options. Our adhesive-backed removable wallpaper material allows your custom wall installations to shine, without harming the host surface. We also specialize in contour cutting, meaning any of the substrates we carry can be transformed into larger than life stickers! Sometimes less really does mean more. With our endless list of top-of-the-line design and printing capabilities, less covered space can mean more possibilities! When you are wanting to add dynamic, seamless art to your interior wall, graphic wallpaper is the ideal solution. Graphic wallpaper does not show seams and is mounted using a paste (similar to traditional wallpaper) helping it maintain a long-term hold. On top of that, graphic wallpaper is made of a cloth type material, which can help hide imperfections in the walls construction. When you want to add a graphic space to your interior or exterior for a temporary or permanent application, wall vinyl is a great way to achieve a beautiful covering, fast. Wall vinyl is different from wall paper in that it can be used on complex surfaces such as brick or wood with amazing results. Its ability to form to the surface it is adhered to is both a strength and a weakness. For instance, if applied to an exterior brick wall, wall vinyl will appear as if it is a painted mural and only take a fraction of the time to create. If you were to, however, apply it to an interior wall, the wall vinyl can show some imperfections in the dry wall. LSI Graphics in Memphis, TN is a custom print shop serving you with the highest quality custom products and services. We are here to serve you from the ground up. Personalized artistic direction and graphic design are included in every package. Our professional graphic artists specialize in transforming your starting idea or pre-existing imagery into a finished product with maximum visibility and memorability. Looking for design ideas? Don’t know where to start? Call on LSI Graphics today. Our professional in-house graphic design team has explored the full range of our large format capabilities, and can develop a dynamic solution for you. If you’re looking for larger, more permanent solutions, check out our custom wallpapers. 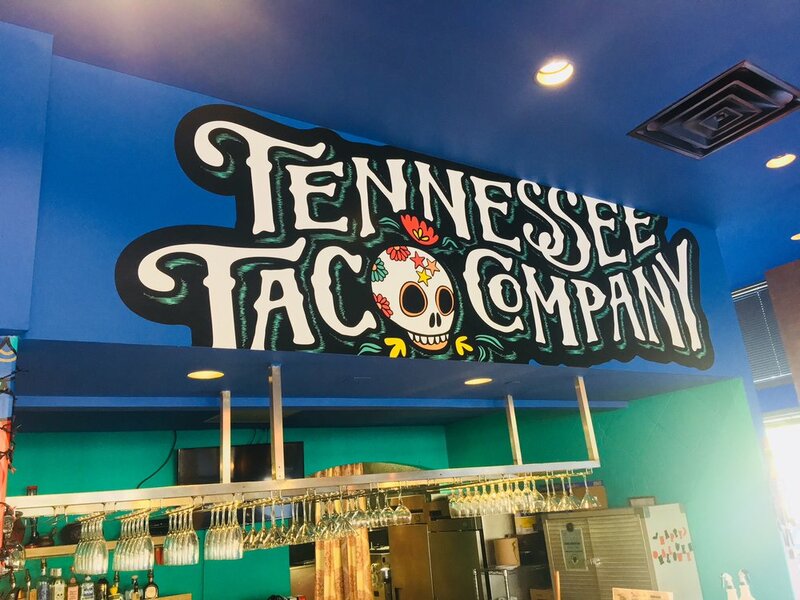 To learn more about custom wall vinyls in Memphis, TN, reach out to a member of LSI Graphics’ professional staff to discuss how you too can take full advantage of the design and advertising potential you never realized you had. Call (901) 794-3032 or fill out our contact form. If you can dream it, LSI can make it happen!